Finally, here is our KC trip to see the KC Temple Open House! 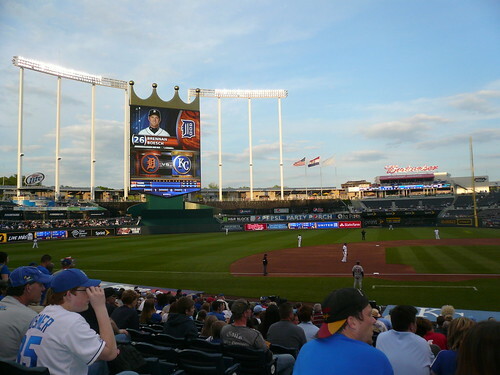 Kevin and I flew to Kansas City! We ate a wonderful lunch at Noodles and then hung out at the in-laws for the afternoon. 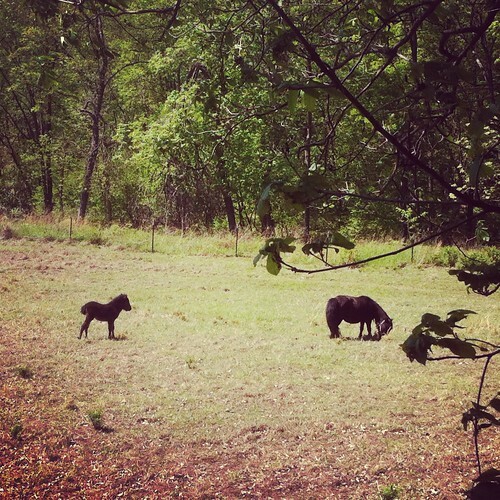 Behind their home is a pasture and in the pasture a horse had some babies! Look at the cute baby horse to the left! I just love horses. Kevin is allergic but sometime I am going to make him take allergy medicine and we are going to ride them on a beautiful trail...someday. I love horses!!! 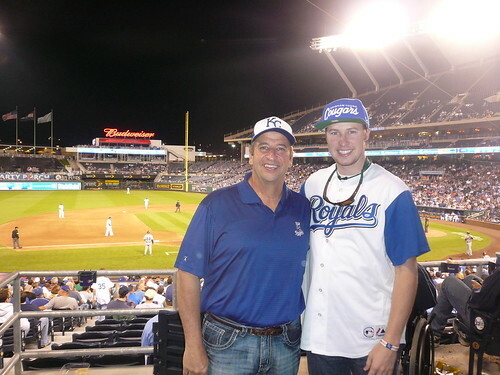 We then changed into Kansas City Royals attire and made our way over to the game! 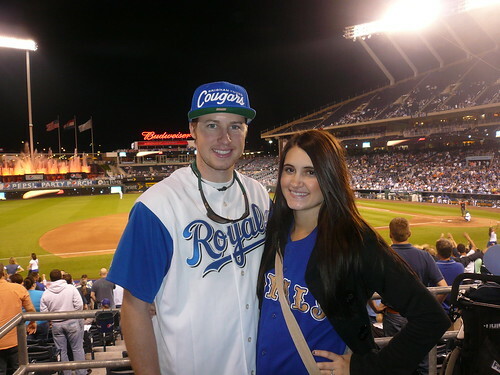 I brought one of Kevin's Royals jerseys to wear with jeggings and lets be real, I look huge here haha. I was 21 weeks pregnant and 2 days here. 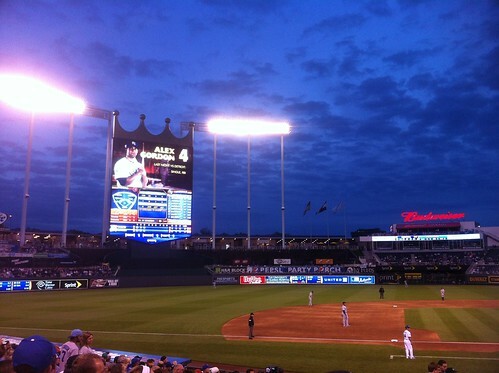 The Royals play at a gorgeous field. Kevin wanted to get some pictures here since it was our boy's 'first baseball game' in my belly haha. Unfortunately, I think they lost...the game...can't remember for sure though. Check out this cute boy! 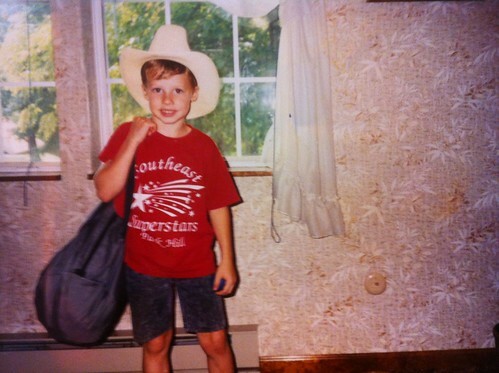 That is Kevin when he was a youngin! Maybe our son will resemble him? 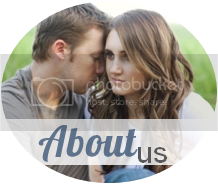 Greg & Kathy made a slide show of pictures of them dating, getting married, and their children growing up and all of the family came over and watched it. It was wonderfully done and it was a special evening. This picture below was one that I don't think made the cut - for the slide show - but I was glad to have seen it! After the slide show we drove over to the Kansas City Temple! 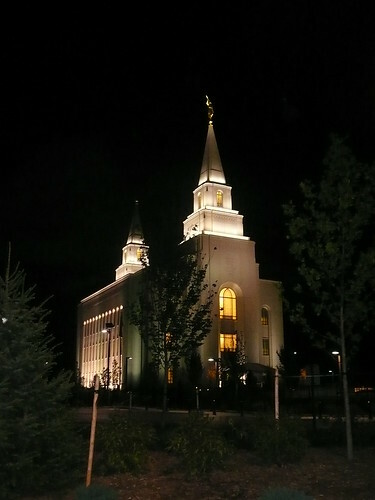 We went through the open house and let me tell you the temple is gorgeous inside and out! Here it is! Unfortunately we went at night and it was kind of chilly so we couldn't get many good pictures. 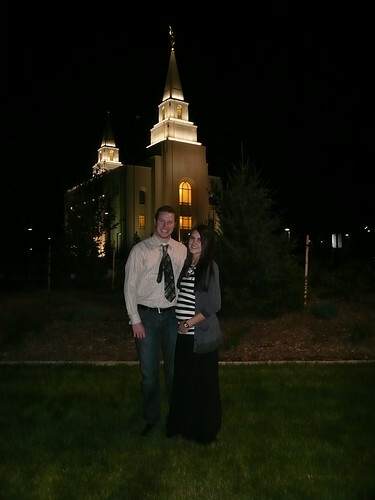 Us and the temple. Awkward picture I know. And Kevin's tie...lol. It was a great experience to go through the open house and it makes me excited for the temple to be built in Fort Collins! AND we are less than 2 miles away from it, so awesome!!! There will be ground breaking for the Fort Collins temple in December of this year! 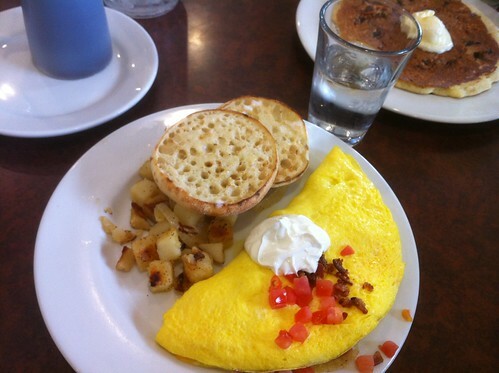 We had a lovely brunch at First Watch. I just love breakfast foods!!! It is one of my weaknesses ha. We then hit up Zona Rosa and I got a pair of maternity khaki capris from Old Navy, maternity jeans from Gap, and some cute clothes for our boy! It was a fun afternoon of shopping. 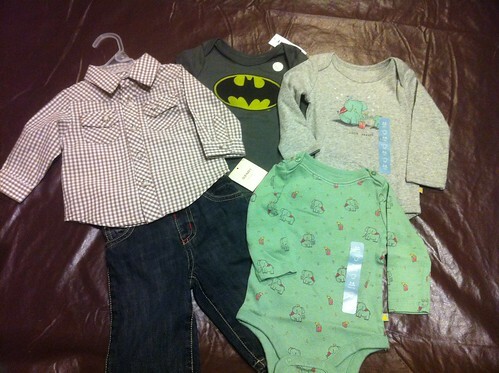 Look at the cute clothes Kathy and I got at Old Navy & Baby Gap for our boy! So excited for him to wear them! We then hung out at the Painters and Tara and I talked about baby everything...strollers...carriers...high chairs...everything. Gosh there is so much more I have to become informed on! We still have SO many decisions to make for our son like crib, dresser, stroller, car seat, etc... kind of overwhelming. In the evening the girls got their nails done. I tried shellac for the first time and I love it. I got this mint green 'seafoam' color! It lasted for almost 3 weeks! We woke up early and went to Zach's soccer game. It was hilarious. I haven't been to a little kids soccer game in ages...brought back many memories from my soccer days! They still eat oranges after haha. I honestly don't remember what else we did this day but we did sit around the camp fire at night which was great. I love campfires! 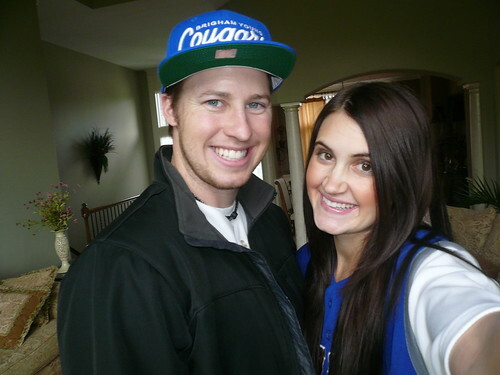 Kevin and I attended church and flew back to Colorado. And that was our lovely trip! 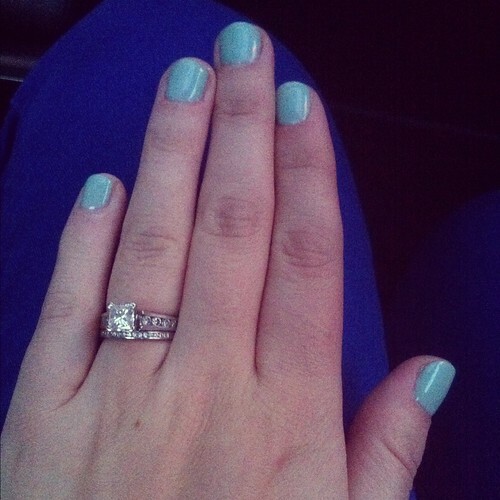 Love your nail color ! That's cute for this warm weather ! 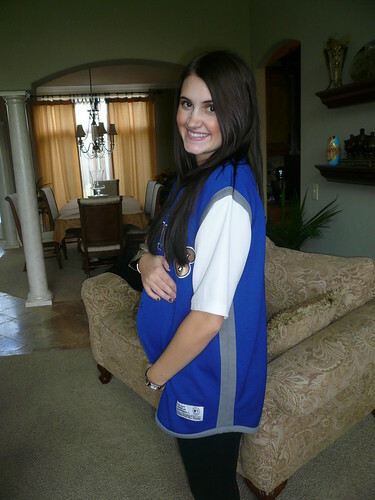 And how cute is your belly in that basket ball jersey, love it ! 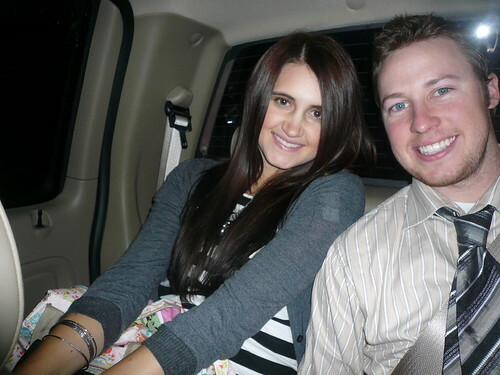 Your little bump is so cute! You look amazing!